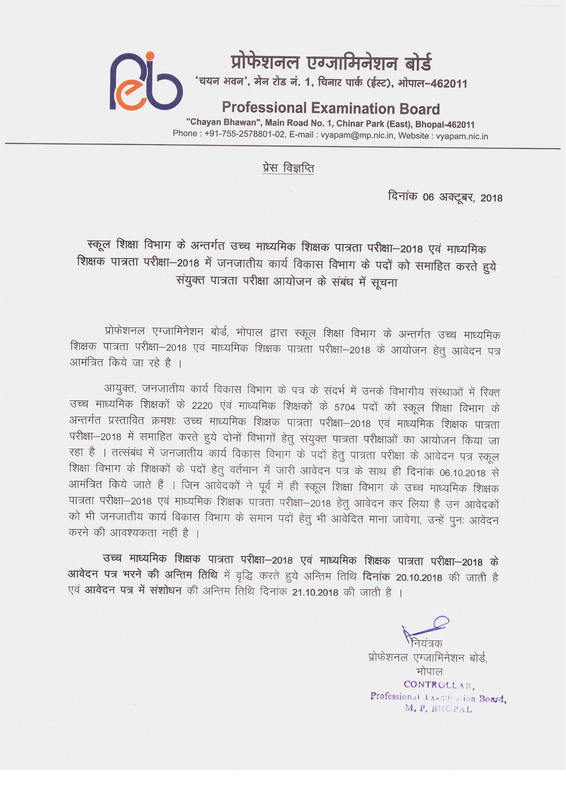 MPPEB (Madhya Pradesh Professional Examination Board) Has Released Recruitment Notification For 19220 High School Teacher Posts. All Eligible And Interested Candidates Can Apply Online On Or Before 30-10-2018 (30th October 2018). 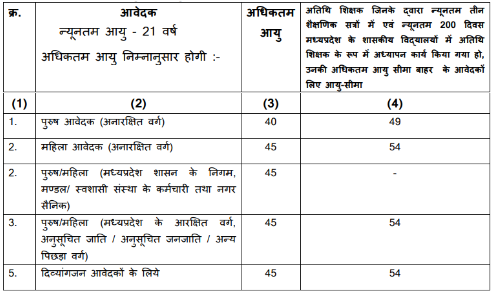 Further Detailed Information Regarding Educational Qualifications, Age Limit, Selection Procedure, Exam Pattern, Syllabus for MPPEB (Madhya Pradesh Professional Examination Board) Recruitment 2018 - 19220 High School Teacher Post is mentioned below. Pay Scale - Rs. 36,200/- Per Month . How To Apply - All Eligible and Interested candidates may fill the online application through official website http://www.peb.mp.gov.in before or on 30th October 2018. Opening Date of Online Submission of Application Form Is : 11-09-2018. Last Date For Apply Online : 30-10-2018. Written Exam Date : 29-12-2018. Click Here For MPPEB Recruitment 2018 Detailed Advertisement. Click Here To Corrigendum 1. Click Here To Corrigendum 2. 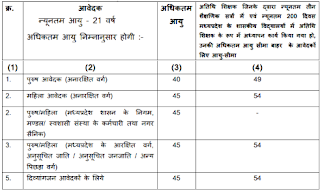 MPPEB (Madhya Pradesh Professional Examination Board) Has Released Recruitment Notification For 11374 Teacher Posts. All Eligible And Interested Candidates Can Apply Online On Or Before 30-10-2018 (30th October 2018). Further Detailed Information Regarding Educational Qualifications, Age Limit, Selection Procedure, Exam Pattern, Syllabus for MPPEB (Madhya Pradesh Professional Examination Board) Recruitment 2018 - 11374 Teacher Post is mentioned below. Pay Scale - Rs. 32,800/- . Opening Date of Online Registration of Application Form Is : 28-09-2018. Last Date To Submit Online Application : 30-10-2018. Date for Written Examination : 19-01-2019.